This item is out of stock but should return by 8/30/2019. Please come back. Spruce up your fireplace with a festive Christmas stocking this holiday season! The red and green polka dot design and jester shape will get your entire family in the holiday spirit in no time. 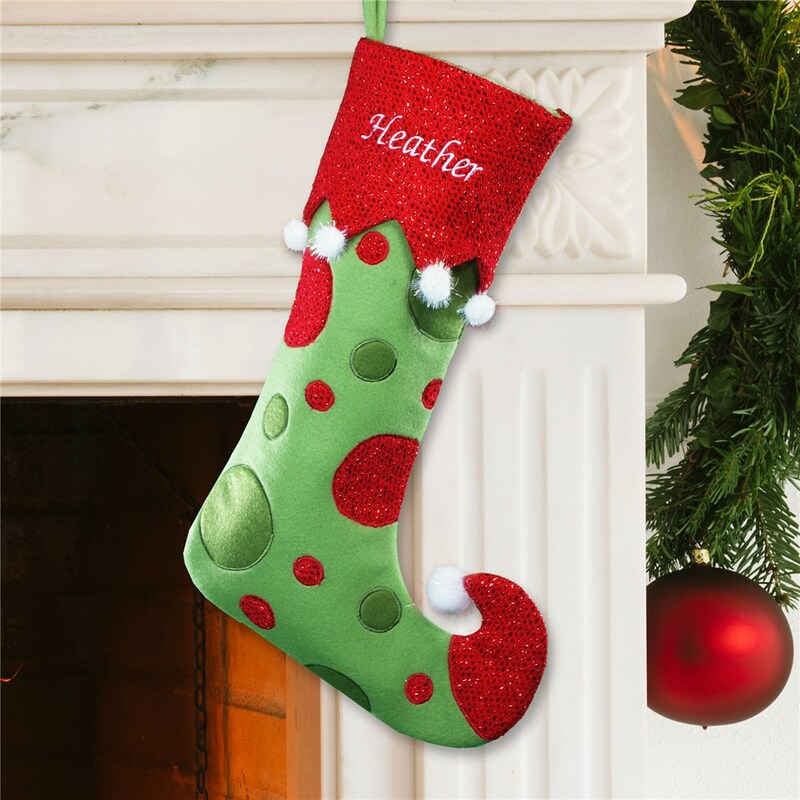 These whimsical jester Personalized Christmas Stockings measure 21” long. It features a shimmery red cuff and toe-tip along with red and green polka dots. It’s accented with white glistening pom-poms along the red cuff as well as the tip of the stocking. We will intricately embroider the red cuff with any name in our classic white thread. Very cute and fit right in with my daughter's décor. Fun and festive, love the personal touch without the hassle of finding someone to embroider. Love it! Very good product- not cheap looking.